Between 12/15/09 and 12/30/09 the remaining 9-mile dirt section of Groom Lake Road inside the restricted area between the warnign signs and the old cattle fence near the north end of the dry lake bed was paved. 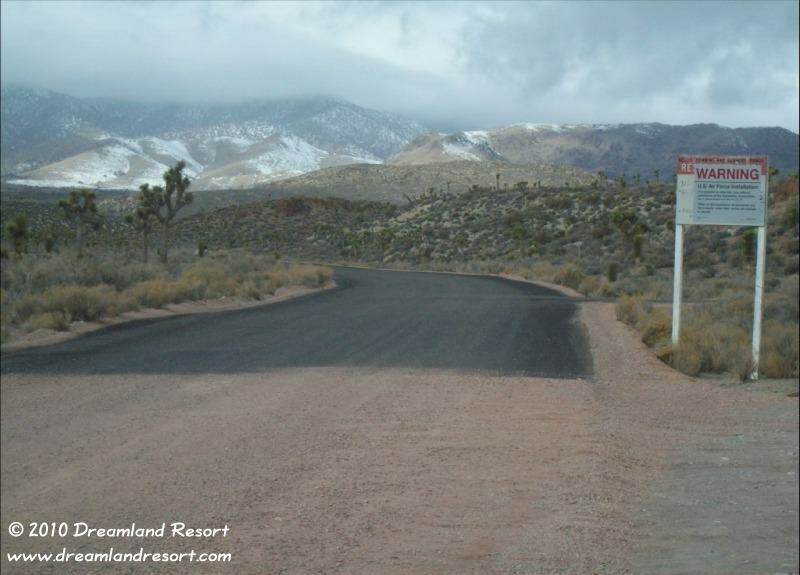 Groom Lake Road is now a paved road from Area 51 all the way to the warning signs. The 13.8-mile section outside the restricted area, between the warning signs and Hwy 375, remains a dirt road. Photo taken 12/30/2009 by our reader Robert, who first reported the upgrade. With friendly permission.